I need to see action that signals clear progress toward a neighborhood where I can feel safe enough to walk and bike. And I refuse to believe this is too much to ask. 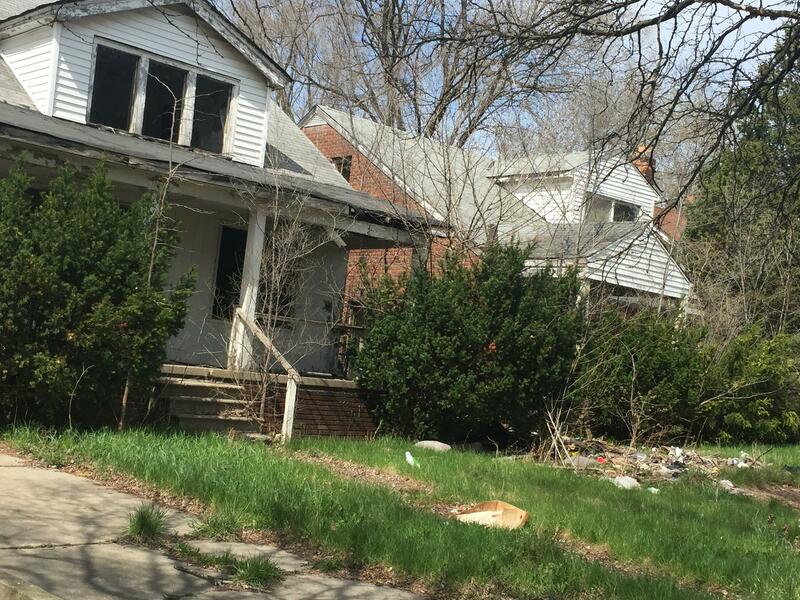 We must find more ways for residents of Detroit's neighborhoods like the Airport District to become involved in the rebuilding process, says Khalil Ligon. To start, we need to better organize within our neighborhoods to make sure the things we want to see happen actually get done. Of course, there are many things we can do as individuals right now — not litter, recycle, mow our lawns, creatively use vacant greenspaces, have block parties, and engage with our local police departments. However, the long-term planning and larger real estate and infrastructure projects require a broader perspective and greater resources. As neighborhood residents, we must demand more input and organize in a way that positions us for dialogue with city leaders about development and restoration. The Detroit Future City “Ideas for Innovation” series, which began last month, has sought to reconvene Detroiters around implementing its Strategic Framework. In the first session, which focused on “what makes a great city,” speakers with experience leading citywide planning efforts talked about their processes — what worked and what didn’t — and shared stories about the transformation their cities are experiencing. I was most surprised by keynote speaker Roxanne Qualls, former mayor of Cincinnati. Her approach to the city planning process deliberately set the table for a diverse set of perspectives. She seemed passionate about equity — social, economic and political — and made it central to idea-generation and decision-making. Everyone found their way into the process, as they looked to reshape the city’s riverfront and stabilize its neighborhoods. That is not common in city planning. It is either a top-down bureaucratic process where community voices are minimal, or a grassroots effort where influence and integration at the city level are virtually nonexistent. Ms. Qualls, however, talked about a process of inclusion, specifically around race relations. You don’t often hear of politicians taking those kinds of risks. We need that kind of bold leadership in Detroit and in Michigan, where the common good trumps political whims. What I found most inspiring about the event was the number of Detroiters who were present and ready to do whatever they could to move the city forward. I spoke with many attendees afterwards who described the community plans they have developed, the projects they were working on, and a desire to make things better in their neighborhoods. They are doing this on their own; imagine what could be done if their efforts were supported with government and foundation resources. Building on the energy and efforts already present in Detroit neighborhoods, the next step is to implement a series of district-based design charrettes, which are essentially meetings to gather community input. Held in local libraries, churches, or other accessible community spaces, the charrettes would offer an opportunity for residents to drill down on the DFC framework, marrying their ideas and plans to the broader city vision. As neighborhood residents, we must demand more input and organize in a way that positions us for dialogue with city leaders about development and restoration. The goal would not be to develop a new set of plans; instead neighborhoods would be creating actionable targets to implement. These are not more sessions to merely talk and dream, but to plan and do. To jumpstart the process, Detroit Future City, City Council and Mayor Mike Duggan could take the lead and co-convene these district roundtables. Each one should have a broad sector of stakeholders, including nearby business leaders, church and school officials, and key members from city departments. At these facilitated working sessions, residents could brainstorm every possible project idea, including those currently underway, already implemented, and those desired. The best ones would then be prioritized based on what is achievable within six months, then one, three, and five years. Establishing milestones at this pace helps people feel and see the progress. This sense of immediate gratification and hope is crucial; it keeps engagement strong and makes the frank discussions about the long-term heavy lifting more palatable. Finally, the sessions would develop land-use designs and resource maps. These will help everyone see what their role is in the implementation, as well as identify overlaps and gaps from neighborhood to neighborhood. After outlining ideas, priorities and milestones, residents could work with DFC, city officials and funders to match the ideas to potential resources. In this phase, local residents would also commit to what they can do. The onus of moving our neighborhoods forward does not rest solely with government, foundations and block clubs. District dashboards could be installed in prominent places to track progress and hold everyone accountable. Moving our city forward towards a sustainable, livable condition for all requires all hands on deck. Tree-lined streets with no abandoned structures. Parks, gardens and trails. People walking and biking on greenways. Block parties, cafes and coffee shops. Markets and retail stores. Buses and trains that take you from your neighborhood to the rest of the region. Knowing and looking out for your neighbors. Honoring the people who have remained and endured while welcoming new people into the community. This is the city I want to live in. I don’t want to wait 50 years, and I don’t want to have to move somewhere else. I want to live well in my hometown. So when you see me riding a bike through the Airport District, know that I am working toward Detroit’s future city. Khalil Ligon is Southeast Michigan outreach coordinator for Alliance for the Great Lakes. Khalil Ligon and Dara O'Byrne discuss ideas for Detroit neighborhoods on "Stateside with Cynthia Canty"